When you’re headed to Park City, Utah, Charter Flight Group can arrange private jet services in and out of Salt Lake City International Airport (SLC) or Provo Municipal Airport (PVU) to accommodate your personal and business private flight needs. Our 30 years of private aviation experience makes us uniquely qualified to provide private jet charters for clients who wish to avoid the headaches of commercial air travel, such as long security lines, baggage restrictions, delayed flights and crowded terminals. 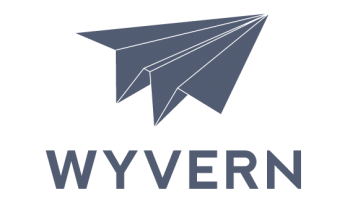 Every one of the private jet charter flights we arrange is also required to undergo safety audits by aviation safety leaders ARG/US and WYVERN. Our agents are available 24/7 to book your business or leisure travel in and out of all of the closest airports for clients travelling to Park City. As a distinguished leader in private jet services, Charter Flight Group can give you access to private flights worldwide. Charter Flight Group offers all of the newest and safest private aircraft in the in industry today, with a huge assortment of small and large private jets to accommodate your private flying needs. Our luxury jets include the light Beechjet 400 that can carry 7 or 8 passengers, the midsize Citation VII (6 to 8 passengers), the nearly super midsize Learjet 85 that can accommodate up to 10 passengers, and many others. Any one of our vast selection of luxury jets can be ready within a few hours to transport you and your guests to an unlimited number of domestic and international destinations. Your safety is our primary concern, so all of Charter Flight Group’s carefully-selected global partners must meet the stringent Federal Aviation Administration (FAA) Part 135 standards for aviation operation, aircraft maintenance and licensing. You can reach Park City from several airports in the Salt Lake City area of western Utah. Heber City Municipal Airport (36U), also known as Russ McDonald Field, is in Heber City and is approximately a 20 minute drive from Park City. A little further west, Salt Lake City International Airport’s (SLC) general aviation facility is located on the eastside of the airport and is referred to as Salt Lake City Eastside. It is about 35 miles from the center of Park City. South Valley Regional Airport (U42) is located in West Jordan which is about 41 miles from Park City. This is the primary general aviation airport in the area for business, recreational and charter flights. To the south, about 50 miles from Park City, is Provo Municipal Airport (PVU). And further still, Tooele Valley Airport (TVY), also known as Bolinder Field, is west of SLC International and about 60 miles from Park City. All of these area airports offer private jet charter services. 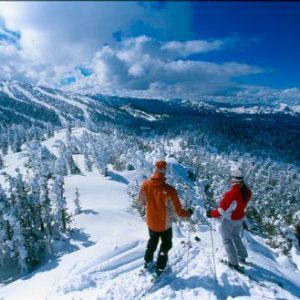 Charter Flight Group proudly provides custom travel arrangements to meet your individual requirements for travel to Park City. If your private jet charter objective is to put you within reach of Park City’s three main ski resorts – Canyons Resort, Deer Valley Resort, and Park City Mountain Resort – flights into any of the airports listed above will place you within about a one hour drive of all of them. If you don’t ski or snowboard, you can enjoy fly-fishing, hiking, hot air ballooning or take in the mining history represented by the town’s many historic buildings. 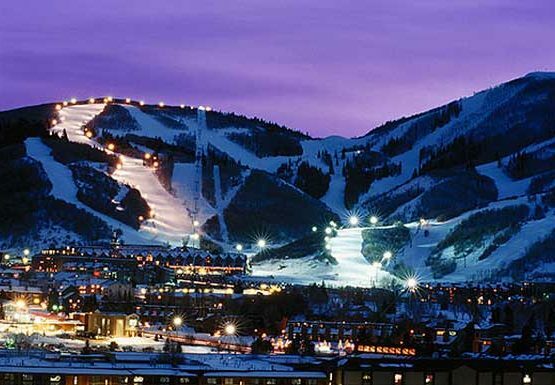 Park City offers a great variety of restaurants, bars and quaint shops and luxury retailers. You can also pay a visit to Utah Olympic Park which was a competition venue during the 2002 Olympic Winter Games. Although Park City is busiest during the cold and snowy winter months, the area is also very nice during the rest of the year. The ski lifts and runs are converted to hiking and biking trails, and you can enjoy horseback riding, tennis and championship golf. Several outdoor businesses make their home in Park City, such as Rossignol USA and Skullcandy. Business air charters to Park City will also place you within one hour of downtown Salt Lake City where you can take advantage of easy access to the headquarters of Sinclair Oil Corporation, Huntsman Corporation, Questar, and the Church of Jesus Christ of Latter-Day Saints. Private jet services to the Salt Lake City area also enable you to visit the historic Mormon Temple, take in a Utah Jazz NBA game, and enjoy a wide variety of restaurants, music venues and theaters. Why Choose Charter Flight Group For Your Flight Charter to Park City? Charter Flight Group can provide you with access to a huge network of luxury jets. Our expert consultants and charter planners will make all of your private air charter arrangements in and out of Park City and take care of the details that will help you get the maximum enjoyment from your trip. We are dedicated to making your worldwide private jet charter flights exceptionally safe and convenient and offer you competitive air charter rates. Your private aircraft will be maintained by certified professionals and flown by well-trained professional pilots. Charter Flight Group can supply you with the finest business jets for your executive air charters, along with unsurpassed professionalism and reliability.